Most Americans grow up thinking of milk as a healthy and wholesome beverage, one that's central to a balanced diet. In recent decades, some have challenged that view, but milk's high protein level and richness in vitamins and minerals are not arguable. Milk can be a valuable part of any adult's diet, but some surprising benefits exist for men especially. Bodybuilders and men who engage regularly in other high-intensity workouts have higher protein requirements than the general population. Extra protein helps the body regenerate itself and build muscle after intense exercise. Milk's protein content is well known, and the most common protein supplement is milk-derived whey powder, which is quickly absorbed by the body. However, 80 percent of milk's protein is casein, rather than whey. Casein is absorbed slowly over a period of hours, giving a base of long-lasting protein for your tissues to use. Intense physical activity, or normal physical activity conducted in a hot or humid environment, can cause a man to perspire heavily. Sweating causes a reduction in the body's supply of calcium, sodium and potassium, three of the minerals known as electrolytes for their role in regulating body functions. A variety of sports beverages are manufactured and marketed specifically as a way to replace these lost electrolytes. However, milk is also an effective vehicle for replacing lost electrolytes, such as calcium, phosphorus, magnesium and potassium, and the combination of electrolytes and post-workout protein makes it a compelling choice. 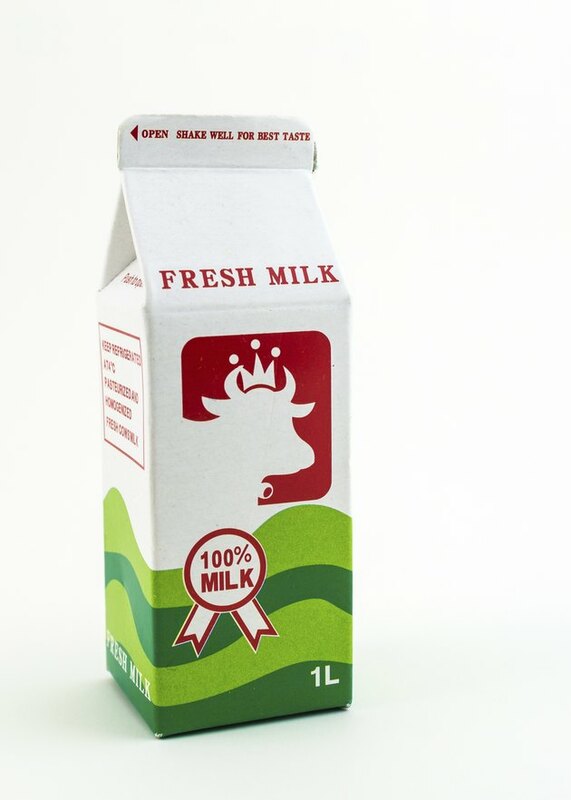 Milk is commonly stressed in nutrition guides as a good source of high-quality calcium. It's widely known that calcium helps build strong bones and teeth, but studies have shown that it might also protect against strokes. A long-term Japanese study published in 2008 in Stroke, a journal of the American Heart Association, demonstrated a significant correlation between adequate calcium consumption, especially calcium from dairy sources, and reduced risk of various forms of stroke. A similar study in the same journal two years earlier found a comparable correlation. Hypertension, or high blood pressure, is one of the major root causes of cardiovascular disease. A study published in 2009 in the "Journal of the American College of Nutrition" found a strong correlation between consumption of dairy products and a lower incidence of high blood pressure. Calcium, potassium and magnesium, all found in milk, are known to have a beneficial effect on blood pressure. However, the effect of dairy consumption was greater than these nutrients could account for. The authors of the study speculate that peptides in the milk prevent angiotensin-converting enzymes, or ACEs, from increasing blood pressure.